An ideal combination in the heart of Amsterdam! An ideal combination in the heart of Amsterdam! See Amsterdam in two special ways! By bike you will see all the hotspots in the centre of Amsterdam and of course you have to experience the canals of Amsterdam. Enjoy the ride with a nice cold beer or prosecco. It's up to you in which order and at what time you will experience the activities. On one of your special boats, you will experience a wonderful day on the waters of Amsterdam. The boat is electrically powered and therefore it is possible to sail silently through the Amsterdam canals. The beer & bubble cruise guarantees a party on the water. Your own private sloop with cold beer or and a hospitable skipper. This is guaranteed a great day! 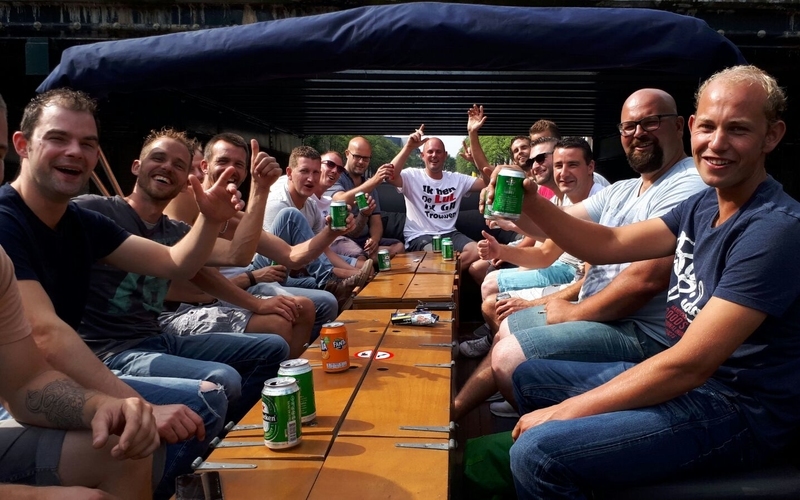 The beer & bubble cruise is perfect for a bachelor party and can also be combined with other activities in Amsterdam. Start Location is in the heart of downtown Amsterdam (Herengracht). The cruise is private for 1,5 hours and includes four cans of beer per person/ore one bottle of prosecco. There is also a local skipper/guide to support you. The beer Bike, an ideal activity for every party. 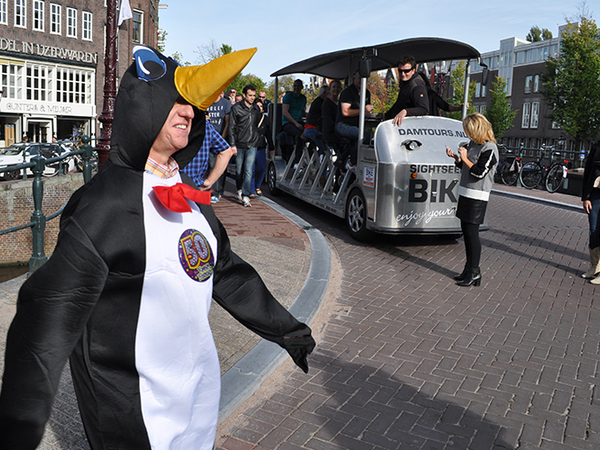 We’ve been operating the Beer Bike in Amsterdam since 2007. 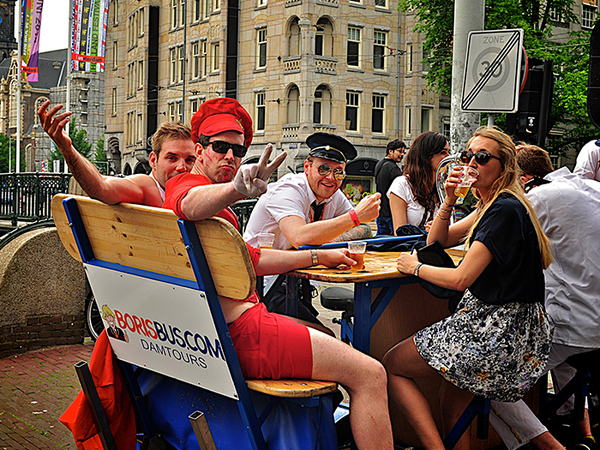 The Beer Bike is suitable from 5 up to 16 persons. Do you want to book for a bigger group? No problem, we’ve got multiple bikes. 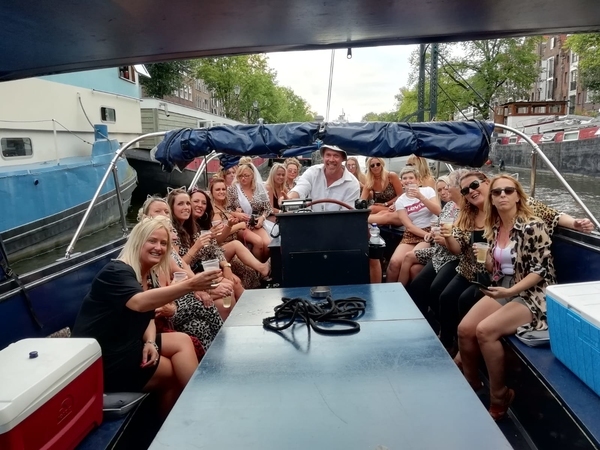 Our BOB (sober driver) will steer you through Amsterdam and show you the city while you all enjoy a nice beer. The Beer Bike is equipped with 20 liters of beer. Our Beer Bikes are equipped with electric pedal assistance which makes them the lightest pedaling bikes in the Netherlands! It's possible to separate the activities over more days and also to do it straight behind each other. If you want you can separate the activities over more days. The start location will be send to you by e-mail.